Millions of people suffer tooth loss from gum disease, injury, or tooth decay. Dental implants in Baltimore are an excellent solution for those wishing to restore their smile and confidence. This guide will help you understand how the dental implants procedure works and determine whether they are right for you. Dental implants are replacements for natural teeth. These implants are surgically placed into your jawbone using small titanium posts, creating a secure foundation. The dental implants are natural-looking and will match your existing teeth. The most common dental implants surgery involves endosteal implants, which are placed into the jawbone. If you don’t have enough healthy jawbone to sustain a bone graft, subperiosteal implants are used. In this dental implants procedure, the implants are placed under the gum but above the jawbone. Many factors come into play when determining the cost of dental implants, including materials used and which type of dental implants are used. If additional surgical procedures are required, they also will be factored into the overall dental implants cost. When you consult with your dentist, he or she will be able to determine your specific dental implants costs. If you’re worried about the cost of dental implants in Baltimore, consider the many advantages of dental implants. These benefits include restored confidence, a natural look, and durability. Our office offers several financing solutions for those without dental implants insurance. Most dental plans do not include enough coverage to fully fund dental implants surgery. The cost of dental implants with insurance is a common concern among dental patients. However, the dental implants cost can be affordable even without dental implant insurance. We offer flexible financing options, helping patients restore their smiles even without dental implants insurance. Contact our office today to learn more about our affordable dental implants in Baltimore. Dental implants surgery involves several important steps, which differ slightly depending on whether you require endosteal or subperiosteal dental implants. The process of dental implants begins with site preparation, followed by the insertion of the dental implants into your jawbone. After the dental implants procedure, the implant is securely bonded to your jawbone as the site heals. An abutment, a connecting element, is attached to the implant. Lastly, your customized crown is cemented into place. Dental implant procedure pain is managed with over-the-counter pain medications and local anesthesia, and usually is quite mild. Be sure to consult with your dentist if you have any questions or concerns regarding the dental implant procedure steps. Call us today to learn how our affordable dental implants can increase your health and self-esteem. 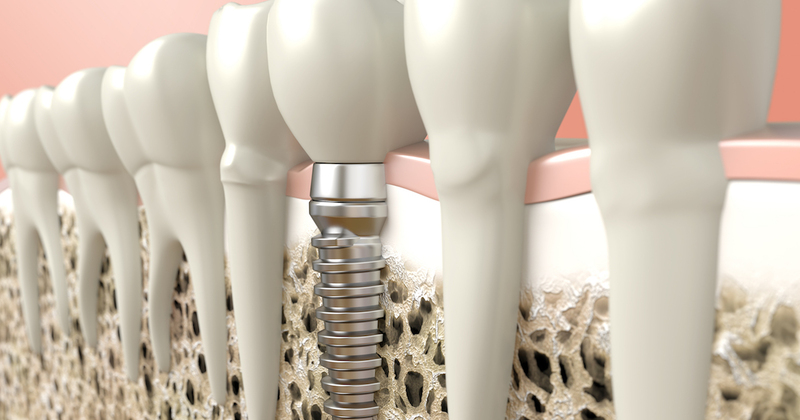 Dental implant care after surgery typically is a straightforward process. Immediately following your dental implants procedure, treat mild mouth soreness with over-the-counter pain relievers. Caring for dental implants on a daily basis is simple, as they can be cleaned with regular toothpaste, floss, and antibacterial mouthwash. Who needs dental implants? If you are missing teeth and wish to restore your comfort and confidence, you may be a dental implant candidate. Our office’s knowledgeable implant dentists can evaluate your jawbone and determine if you can support endosteal implants. Subperiosteal implants may be recommended if you lack sufficient jawbone to support dental implants. 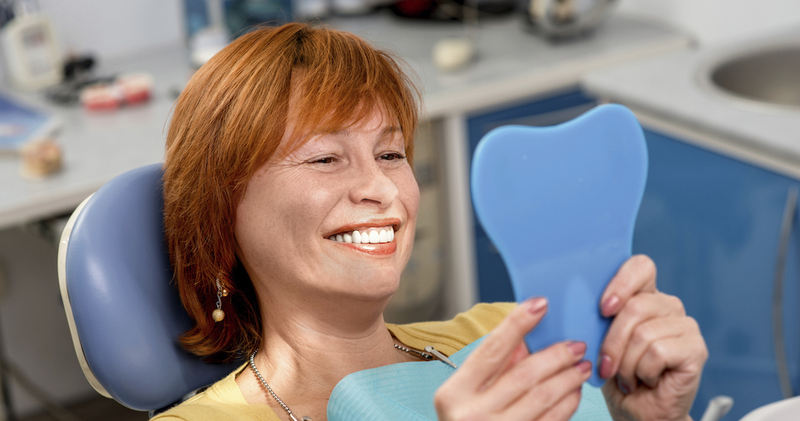 Contact our office today to find out if you’re a candidate for dental implants in Baltimore. One of the most common questions we receive from our dental patients is, “How long does a dental implant last?” Generally, how long dental implants last depends on your oral hygiene – this can vary from 10 years to a lifetime! For more information about our affordable dental implants, visit our dental office in Baltimore.